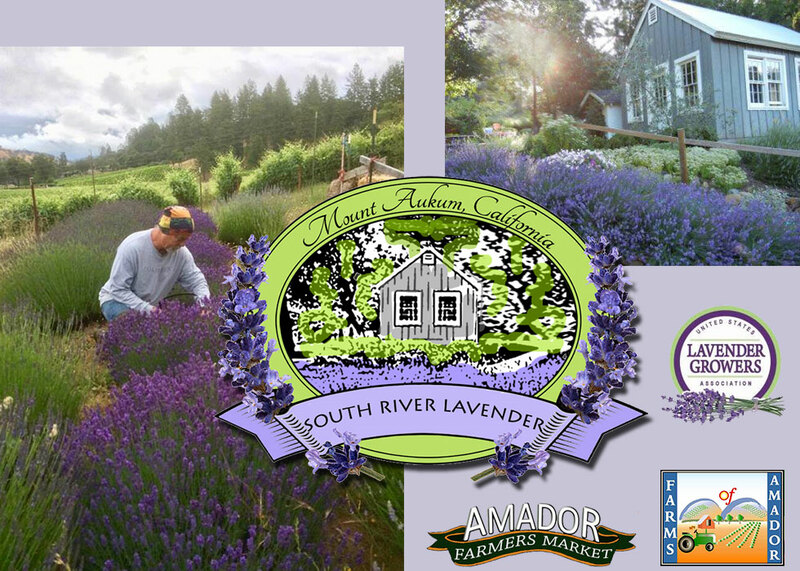 Welcome to South River Lavender, located in Northern California’s historic Sierra Foothill Gold Country between the Shenandoah Valley and Fair Play wine regions. Our farm is dedicated to cultivating naturally-grown lavender, cut flowers and herbs. We are proud members the California Certified Wildlife Habitat program, Sierra Wildlife Rescue, Sierra Bee Keepers Association, United States Lavender Growers Association, Farms of Amador and Foothill Flower Co-op. The 3-acre rural property, situated on the South Fork of the Consumnes River at a 2000’ elevation, is part of the original 1940 Dean Family homestead in Mount Aukum. The modest farm house and surrounding landscape were beautifully restored and nurtured over the last several years. Workshop space has been expanded to include hand crafted copper distillation equipment for extracting essential oil. With recent greenhouse, hoop-house and raised garden bed additions we also pursue our love of growing cut flowers and ornamental herbs from seed. A post and beam barn was built last Fall to accommodate more drying space for larger lavender harvests and preparation space for assembling flower bouquets, lavender bundles and herb wreaths for local farmers markets. We sell fresh, hand harvested, lavender in June and July as well as fresh cut flower bouquets, dried lavender bundles, lavender plants, soap, sachets, essential oils and our popular herb wreaths throughout the year. Please click on the tabs above for information about lavender and our products.